Pamela Graham is Senior Counsel and a member of Colantuono, Highsmith & Whatley’s litigation practice group. Pamela’s practice covers a wide range of litigation matters, including land use, employment law, municipal finance and public revenues, medical marijuana, and water issues. Her current engagements include defending Goleta Water District and the City of Santa Barbara against challenges under Proposition 218 to their water rates; litigating civil code enforcement actions for the City of Pasadena against illegal medical marijuana dispensaries; defending the City of South Pasadena in a writ of mandate action challenging aspects of the City Council’s approval of a conditional use permit for a hydrogen fueling station; and defending the City of Sierra Madre in a dispute arising from a code enforcement action against an unpermitted home improvement project. Pamela has broad litigation experience in both state and federal courts, handling all phases of litigation from the pleading stage through appeal. She has successfully defended a number of jury and bench trials. Prior to joining Colantuono, Highsmith & Whatley, Pamela was an attorney in the commercial litigation workgroups at Irell & Manella LLP for seven years and at Drinker, Biddle & Reath LLP for five years. 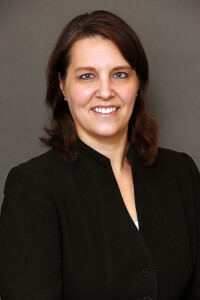 There, Pamela represented a diverse range of clients in the entertainment, retail, and other prominent Southern California industries in a variety of commercial litigation matters, including cases involving business torts, employment disputes, securities fraud, and trademark and copyright litigation. Pamela has served as adjunct faculty at Southwestern Law School, where she taught legal analysis, writing and skills, and at California State University, Northridge, where she taught advanced business law.